What is a Clearinghouse Lawyer? | Craven, Hoover, & Blazek P.C. What is a Clearinghouse Lawyer? There are many accident lawyers that advertise heavily in order to get the most cases possible, but almost never go to trial. 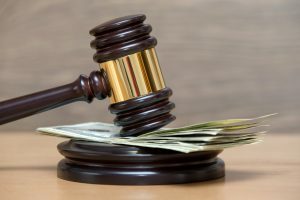 Instead, they pass claims onto other lawyers who will go to trial in order to make a quick and easy fee for the referral, or, they negotiate and settle all of their claims out of court as quickly as possible. They generally do what they can to avoid taking cases to trial in order to get a quick settlement and easy paycheck. These lawyers are informally known as “clearinghouse” lawyers, and are not a recommended means of representation in the legal field. They are more interested in volume and quick turnover. Real accident lawyers don’t always have to go to trial to settle a personal injury claim, but they will and they can if they have to, all for the sake of their clients’ financial recovery. Unfortunately, many accident victims are unaware that should even ask about this type of practice method when interviewing personal injury lawyers. It is an important question to ask any potential accident lawyer you hire to represent your accident claim. As a personal injury victim, you have the right to know if your potential lawyer is going to work on your case personally and take it to trial if they have to, if they are going to pass on your case to another lawyer, or if they are simply looking to settle as fast as possible. If you are looking to settle quickly and willing to take a discounted payout from the insurance company, a clearinghouse lawyer is not a bad choice. In fact, they may just be the best option for your accident claim agenda. However, chances are you want and need a top-dollar settlement for your damages and losses. In this case, be sure to choose a qualified, seasoned personal injury attorney who will not give up the fight for your rights to equitable compensation. Call Craven, Hoover, and Blazek P.C. at 317-881-2700 when you need a trusted Indianapolis personal injury lawyer that will go to trial on your behalf to obtain the full and fair compensation you deserve. Our law firm represent all personal injury practice areas, and specialize in slip and falls, car accidents, workers’ compensation, and wrongful death. We offer free initial consultations and never collects lawyer fees unless we prevail for you. 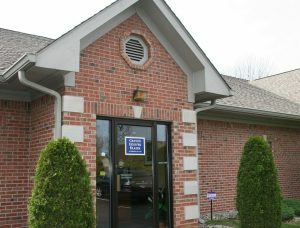 Call 317-881-2700 to schedule an appointment, today. This entry was posted in Personal Injury and tagged clearinghouse lawyer, file a personal injury claim, Indianapolis personal injury lawyer, Personal Injury Law Firm. Bookmark the permalink.